Looking for a professional Property Manager to rent your property? You’re in the right place! Real Property Management is South Brisbane’s leading provider of Rental Property Management services! 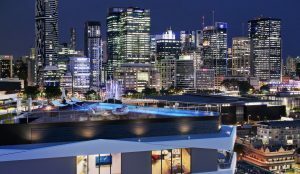 At Real Property Management Australia we provide comprehensive, reliable, and trustworthy South Brisbane Property Management Services at below market rates. When you have an investment property, you want the finest in property management to protect your investment. Whether you are a single property owner or own a portfolio of Investment properties, we’ll effectively manage properties that include single-family homes, apartments, duplexes and townhouses. Our South Brisbane Residential property management company has many years of experience in property management processes to consistently meet our customers’ expectations while saving them time and money. We utilize proprietary systems to manage the entire process to ensure the highest probability of success in all facets of managing your asset. Our full-service property management services include maintenance, accounting, legal compliance, marketing, leasing, collections/evictions, inspections, and more. 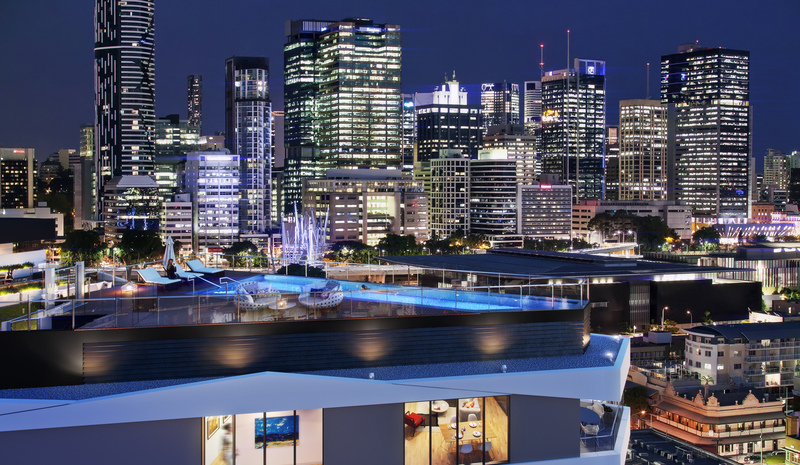 Please contact us to discuss your individual needs and discover why Real Property Management South Brisbane is the leader among residential property management companies in Brisbane. The inner suburb of South Brisbane is reached from the city centre by the Victoria Bridge, which joins Queen Street to the South Brisbane bus interchange in Melbourne Street and the South Brisbane railway station. The suburb’s eastern limit is the Mater Misericordiae Hospital. In the other direction it adjoins the suburb of West End. The first land auction in South Brisbane was in 1843 and in the following year the first of many wharves was built along the south side of the Brisbane River. A ferry ran between the north side and Russell Street (a block south-east of Melbourne Street). Most commercial buildings and hotels were in this vicinity, around which there were a hundred or so residences by the 1850s. Woolloongabba (just beyond the site of the future Mater Hospital) was swampy and uninhabited. The South Brisbane recreation reserve (Musgrave Park) was declared in 1856. A school of arts opened in 1860. When the Brisbane municipal area was proclaimed in 1859 it took in the area of South Brisbane between the river and Vulture Street. The Brisbane Council set plans in motion for a bridge over the river but was unable to get financial assistance from a government dominated by rural interests and reluctant to invest in urban improvements. A temporary bridge from Queen Street was built in 1865, but it collapsed after a few years. The high site at the corner of Stanley Street and Annerley Road (formerly Boggo Road) caught the attention of the Catholic Church, and St Killian’s boys’ boarding school was opened there in 1873. The timing was about right, as the Brisbane council, with considerable difficulty, raised the funds for the first permanent bridge, which was completed in 1874. Obliged to operate it as a toll bridge, the Council persuaded the colonial government to assume control and remove the toll in 1876. The bridge encouraged the installation of wharves on the south side of the river, and in 1881 a dry dock was opened off Stanley Street, near Sidon Street. Since 1875 a railway from Ipswich had run to Roma Street via a river crossing at Indooroopilly, leaving the wharves without a rail service. In 1884 a branch line from Corinda, via Dutton Park, was run through Woolloongabba to the Musgrave and Stanley Wharves, crossing Stanley Street at the busy Five-ways. This was used mostly for freight. A passenger line from Dutton Park to the South Brisbane station was opened in 1891. During the 1880s the population of Woolloongabba (a separate local government division) trebled, and pressure was applied to unite the division with South Brisbane and make the area a separate municipality. The proposal for a borough of South Brisbane was approved in 1888. With an area of nearly 12 sq km and a population approaching 20,000 people, funds were garnered for a town hall and municipal offices at the corner of Vulture and Graham Streets. The site was on the river side of the hill which was occupied by St Killian’s boarding School. The Church acquired vacant land next to the school, building there in 1905 a south-side Mater Misericordiae hospital. St Killian’s, on College Hill, was replaced by St Laurence’s Boys’ College. Two years after completion of its elegant town hall, South Brisbane was devastated by the 1893 river floods. Inundation affected Kangaroo Point and all the riverfront as far south as Musgrave Park and Vulture Street. Norman Creek overran westwards nearly as far as the Brisbane Cricket Ground. Memories of the flood would last for decades, with the Council referring to the event as evidence of its capacity to rise above adversity. The South Brisbane Mechanics Institute and West End School of Arts fell into financial difficulties and the Council took over the operation of their libraries in 1893. Four years later the Council assisted in the establishment of the South Brisbane Technical College. There were baths, wharves, a fish market and ferries. Trams were operated by a private company, which began services from the city along Stanley Street to Woolloongabba and along Melbourne Street to West End in 1886-87. With trams and trains able to convey students from the north and south sides to South Brisbane, the Methodist and Presbyterian Churches followed the Catholic lead and transferred their Somerville House Girls secondary school to College Hill in 1919. Five years later Brisbane State High was opened on a site resumed from Musgrave Park. South Brisbane City Council was enclosed on three sides by the Brisbane River. The river bank served a variety of industrial, public and commercial uses. In the south was Dutton Park, with swimming baths on the river. Moving downstream beyond St Lucia Reach there was the river bank Hill End Park and Davies Park (also with baths). Then followed Humes Pipes, Australian Glass Manufacturing, iron foundries and a steel yard, a saw mill and a tar distiller near the Grey Street bridge (1932). Another baths was at the turn into South Brisbane Reach, with a view of the Victoria Bridge and Fish Market Wharf. Then came Adelaide Steamship Company’s Stanley Wharf, the Musgrave Wharf, the dry dock and the Queensland Railways’ coal wharf, approaching Kangaroo Point and Story Bridge (1940). In 1925, some years before South Brisbane was tethered by the bridges to the north-side city hall, the council was incorporated into the greater Brisbane Council. The enlarged north-side municipal government inherited the question of what was to be done with the derelict river bank after the port of Brisbane moved downstream in the 1970s. An opportunity came with planning for the Commonwealth Games and a World Expo (1988). Cultural institutions were transferred to new premises along South Bank: Art Gallery (1982), Performing Arts complex (1985), Museum (1986) and the State Library (1988). On the other (south-east) side of Victoria Bridge, the South Bank Parklands, with an artificial beach (reclaiming some sub-tropical sizzle from the resplendent Gold Coast) were opened in 1992. The transformed landscape was in sharp contrast to the characterless freeway on the city side of the river. South Brisbane’s heritage precinct is around College Hill, with the city hall (1892), Somerville House (1890) and St Andrews Anglican church (1883) being on the Queensland heritage register. The long redundant South Brisbane Town Hall, used as the Conservatorium from the late 1950s to the 1960s, was purchased by Somerville House in 1999. The dry dock (1881) at Sidon Street is also on the register, along with the white-rendered Catholic church (1893) in Merivale Street, the railway station (1891), the former Queensland National Bank (1929) in Melbourne Street, and the former Council library (1881) in Stanley Street. 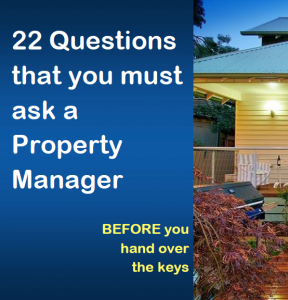 Real Property Management Australia are South Brisbane Property Management specialists.